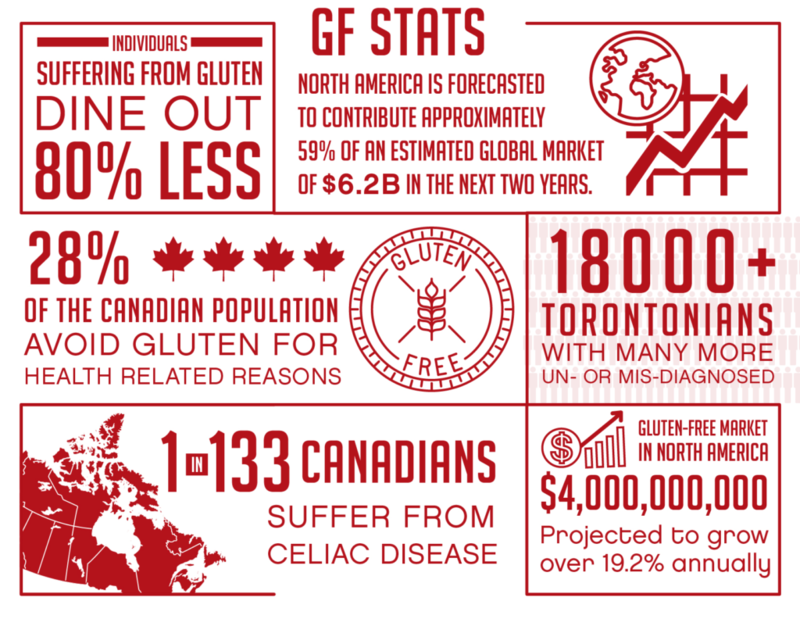 Branding & Buzzing’s gluten-free division knows the stats! This is why we’ve chosen them to be the agency of record for #GFG17. This top Toronto food marketing agency launched Canada’s first-ever gluten-free division in October 2016. How awesome is that?! TORONTO (April, 2017) – For the 6th annual Gluten Free Garage, Toronto’s original pop-up gluten-free marketplace, we are excited to announce that we have joined forces with Toronto agency Branding & Buzzing. Branding & Buzzing, which launched Canada’s first gluten-free marketing division last year, is taking on the festival’s on- and off-site social media plus premium pitches for television and radio coverage. At the helm is agency VP Marian Staresinic and the gluten-free division’s account director Rachael Hunt, both of whom have lived gluten-free lifestyles for many years. “With our five-plus years of experience working alongside food festivals citywide, our in-depth knowledge and involvement in the GF niche and this being the only gluten-free festival in Ontario, I feel that this was the most perfect fit for both sides and couldn’t be more thrilled with our involvement,” Staresinic says. The 6th annual Gluten Free Garage (#GFG17) is taking place during Celiac Awareness Month on Sunday May 28 at Artscape Wychwood Barns from 10:30 am to 4:30 pm.